I've this week finished a long term project, I've been building this on and off for about 6 months but finally pulled my finger out and got on with it. I have to say I'm very pleased with the end result. 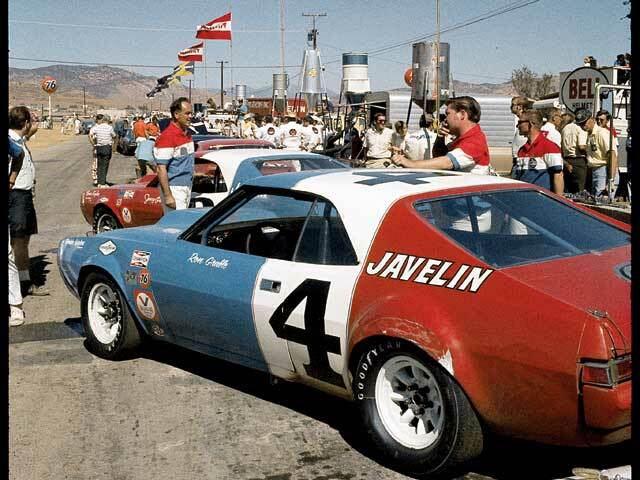 I realise it's not a completely accurate representation of the Trans Am car but I like to imagine that this was the less well backed privateer team having a shot at taking on the big boys! This build was completely inspired by an article from the Electric Dreams team a few years ago and the fact that I liked Javelin's . I was lucky enough to get hold of a 1960's Revell kit from a friend of a friend and from another friend of a friend I was given a well used Pioneer Mustang which I used as a donor for the chassis and interior. So I put the two together and came up with this. The interior is a great fit, all I did was add some detail to the driver. The wheelbase on the chassis is maybe at most 1mm too short and I had to trim the sides but it fits pretty snugly otherwise. Decals are from Patto's Place. very nicely done , pete . i did a reineke . correct blue ? not a critisizim , just curious . looks lite ? might just have to do a couple T/A cars again . WOW! You couldn't ask for a closer match wheel base wise! Very nice conversion! Would love Pioneer / Scalextric to come out with one of these in factory form! Thanks Jer and Tusco glad you like. Regarding the blue, I think it is quite close, maybe the later cars were darker but I'm no expert. Last edited by Pete Shepherd; 08-10-2014, 02:03 PM. Pete, nice job on the kitbash. I like your new photoset base too! I'd be real tempted to paint those wheels white, give it a racier look. Beautiful work, always a pleasure seeing your creations! pete , good call . they may have changed it the next year , again , very nice sir . Penske's R/W/B AMCs used the same 'Sunoco Blue' as his other blue cars, which was darker than Kaplan and Jeffords' blue. Roy Woods stayed with the darker blue, without Sunoco sponsorship. I always enjoy checking out your new projects. It looks great on that chassis with the full interior. some SCC Adjustable axle mounts. I think it looks pretty darn fine as is though. Javelin's are very , great build Pete! Nice job. As far as matching old race car colors, race cars were often resprayed over the course of the season and photos are not always an exact representation of the color so I usually just use a color that "feels" the best. I think the only way to be 100 percent certain would be to go back in time and match the actual car. MANY times, color matching can go to brand colors. AMC Bright Blue and Matador Red work for me. Ford Cobra changed Metallic blues as the car year changed as did the Shelby mustang yellow as the years changed. Sunoco Blue is iconic and could have been a marketing factor. Check 'racingsportscars.com' for some relevant photos. Last edited by ramcatlarry; 11-25-2016, 02:10 PM.